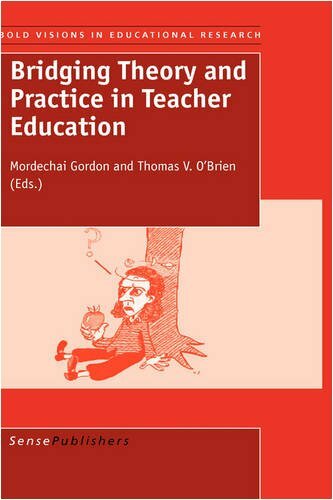 Synopsis: This book addresses both the concerns of teacher candidates and their misconceptions about the relation of theory and practice in education. The contributors to this volume share the belief that theories provide teachers with a frame of reference and a language with which to name and critically analyze many of the problems they face daily. The significance of theory is in its ability to define the problems that teachers face, clarify their confusions, and suggest possible solutions to these problems. Once educational theories are viewed as guides to thought and instruments of interpretation rather than as established facts, it becomes clear that they cannot simply be plugged into a particular classroom. Instead, a theory must be applied in more nuanced and contextual ways, taking into account the social-historical context in which it was created as well as the various particulars of each classroom situation. Experienced educators and scholars in the field have been recruited to write essays that speak to the relevance of different theories in philosophy, psychology, sociology, English, history, science, art, technology, and multiculturalism for the practice of teaching. This book would appeal to teacher educators, teacher candidates, and teachers in general.